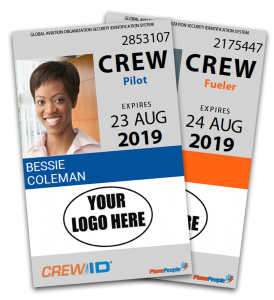 Provides the Aviation Industry a global system for operators, officials, FBOs, MROs, and others that have a need to verify credentials, certifications, training and security data of crews. Verify details instantly anywhere in the worldwide, 24/7/365. Coming soon – Unmanned Aircraft System (UAS) crew positions!! Our mission at CrewID® is to connect our industry by providing a secure credential for each facet of aviation, anywhere in the world. Whether it’s for air charter operators, medical transport crews, ground handling support or UAS remote pilots, we’re here to support them all. To learn if CrewID® is right for your operation, click here! What are some of the CrewID® Benefits?